U.S. officials quickly cast Hugo Chavez’s death as an opportunity for America to rebuild a relationship with Venezuela and for the country itself to pursue “meaningful democratic reforms,” with President Obama heralding a “new chapter” in the Latin American country’s history. 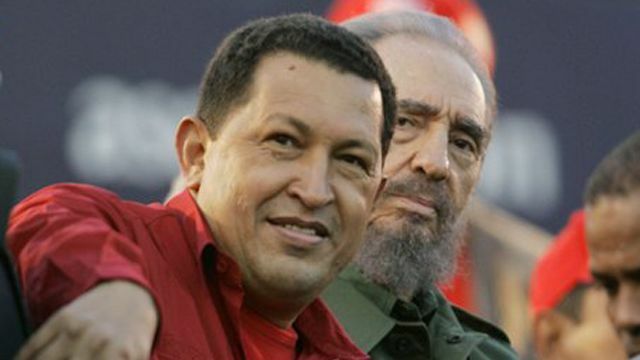 Chavez, who had been battling cancer since 2011, died Tuesday after 14 years in power. An election is expected to be held in 30 days – the transition marks one of the first major challenges for newly appointed Secretary of State John Kerry. Obama kept a measured tone in a statement released Tuesday evening. “At this challenging time of President Hugo Chavez’s passing, the United States reaffirms its support for the Venezuelan people and its interest in developing a constructive relationship with the Venezuelan government,” Obama said. “As Venezuela begins a new chapter in its history, the United States remains committed to policies that promote democratic principles, the rule of law, and respect for human rights. Lawmakers on Capitol Hill were less reserved. It’s just a damn shame that his people didn’t rise up and Ghaddafi him. Too bad. And I’m sure most of Hollywood is in deep mourning today, the filthy commies. Onto more important matters ... I think my chicken is done cooking on the grill.